You are buying the Mabis DMI Ortho Bed Wedges Blue 8x20x24 which is manufactured by Mabis DMI. Mabis is a leading manufacturer of Pillows, Wedges, and Rolls. At ADW Diabetes, we do our best to offer the complete product line by Mabis with excellent pricing and fast shipping. The unique foam wedge design helps improve circulation while allowing the spinal cord to relax, easing back pain. 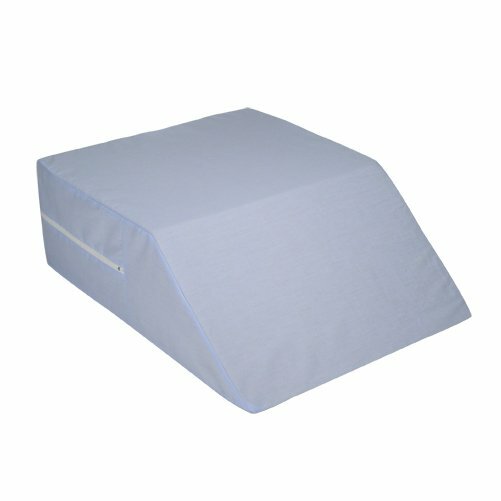 The removable polyester/cotton cover with zipper is machine washable and measures 8" x20" x 24".